easy worksheet to practice asking and answering questions about people's actions in the present progressive. The present downloadable printable was created for elementary school students at Beginner (pre-A1) level. 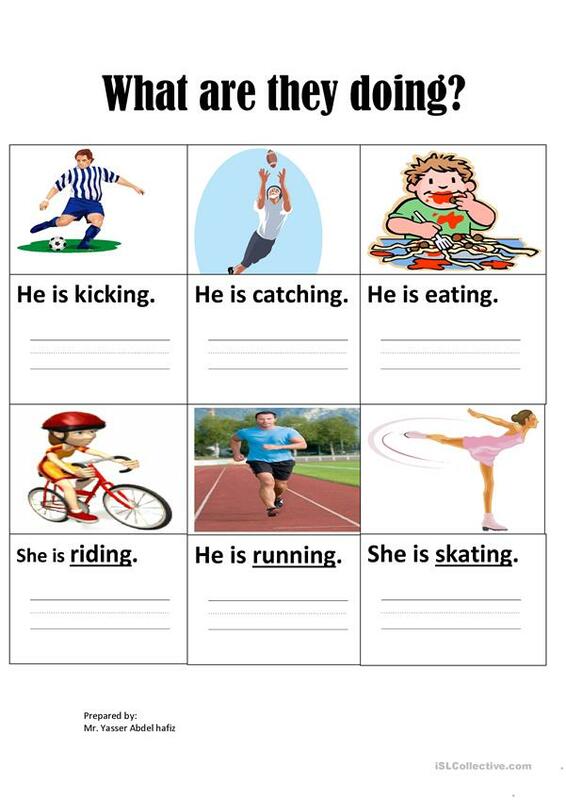 It is a useful material for consolidating Present continuous (progressive) tense in English, and was designed for working on your groups' Speaking and Writing skills. Yaser is from/lives in Egypt and has been a member of iSLCollective since 2012-04-25 11:49:35. Yaser last logged in on 2015-10-29 05:59:57, and has shared 5 resources on iSLCollective so far.